Weary from conflict, the people of Kachin take the time to welcome the Burmese New Year. 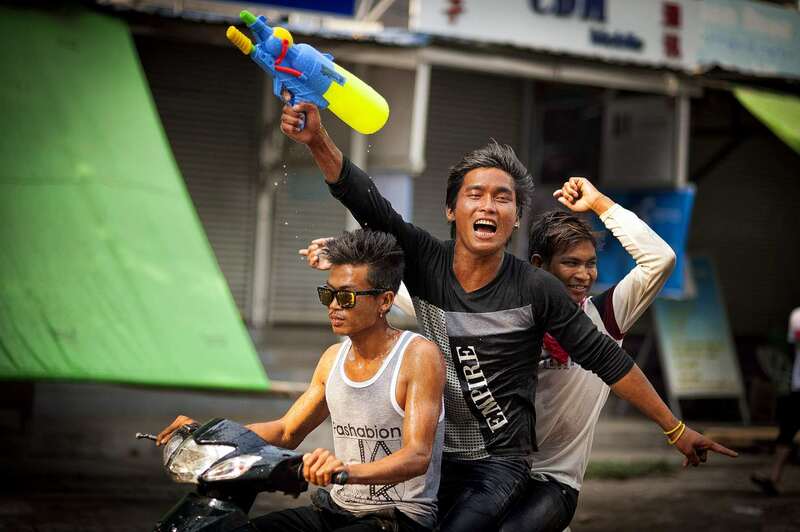 People drenched in water perch on the roofs or backs of trucks jostling for space on the road with equally soaked shirtless male youth riding three on a motorcycle. The youth scream enthusiastically as buckets of cold water are repeatedly hurled into their faces from those lining the streets. 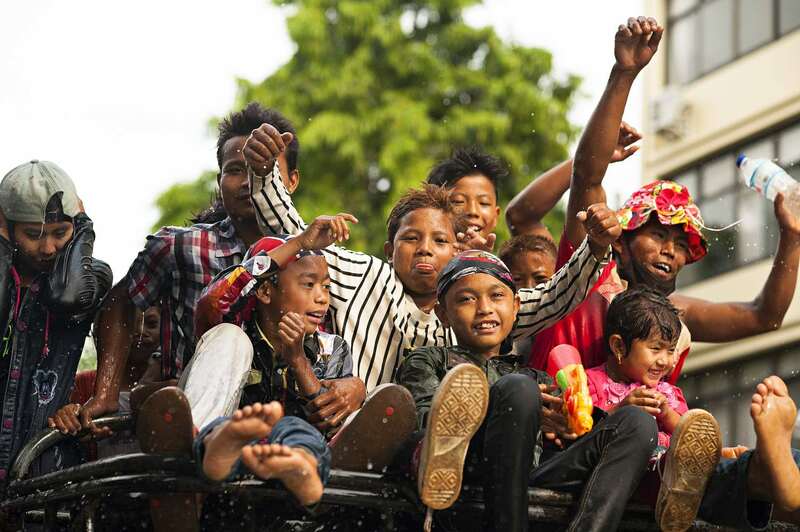 Welcome to the Burmese New Year; known as Thingyan. For residents of Myanmar’s most northeastern Kachin State capital Myitkyina – an isolated part of the country that has been ravished by nearly four-years of war – it’s a well-deserved break. Just after Burma ushered in a new era with the adoption of a quasi-democracy, a seventeen-year ceasefire between the Kachin Independence Army and government unraveled. Fighting has seen more than 100,000 being displaced to camps in mostly rebel controlled areas near the China border. However, there is a camp near Myitkyina and in some other areas controlled by the government. A draft nationwide ceasefire was inked late last month, although recent clashes have downplayed any cause for celebrations. It seems like everyone in Myitkyina is eager to forget about the war for a little while by celebrating the Buddhist Thingyan, even if the majority of the Kachin are Christian. 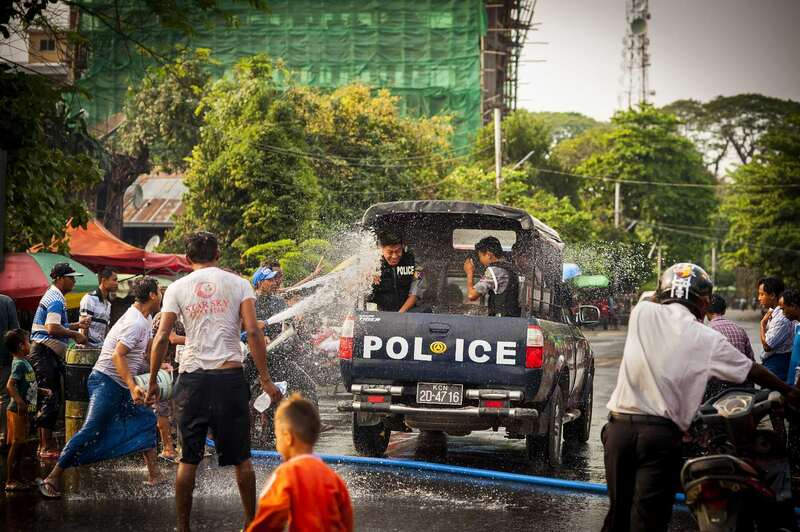 Intoxicated men spray cheerful police in a jeep with water hoses. 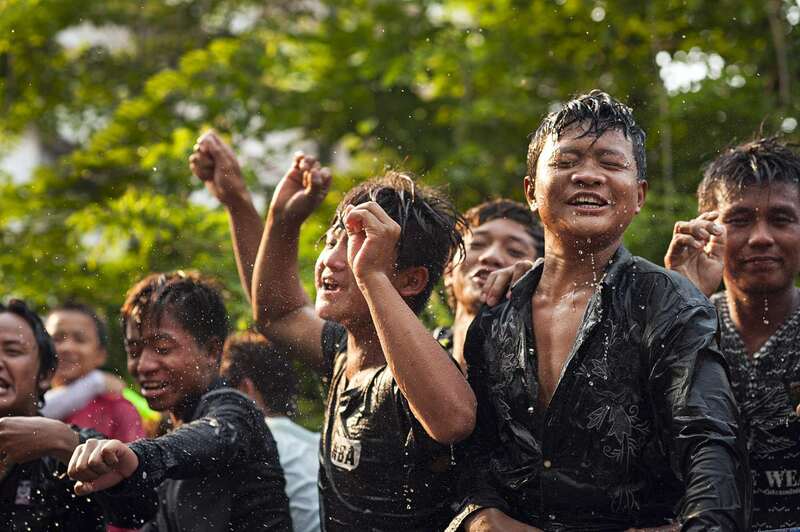 A mixed group of ethnic youth dance in the spray from a water hose outside of a Chinese-owned hotel. Further down the road, a Burmese Indian family happily heaves buckets at water at anyone and everyone passing by their shop. Soaked motorists just laugh heartily even though it’s probably happened to them a hundred times that day. 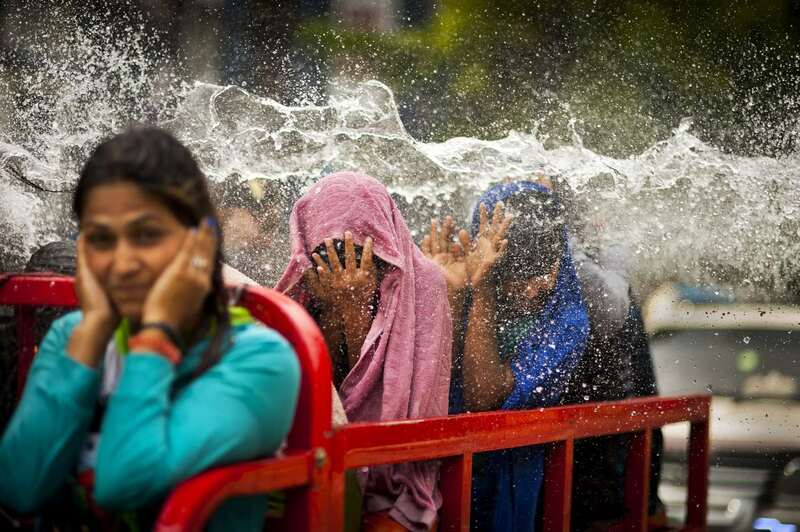 During the hottest time of the year most people enjoy cold water being thrown at them. A large group crams the roof of a truck. Enthusiastic participants take part in the water festival. Participants dance as the sun sets outside of the Two Dragons Hotel. 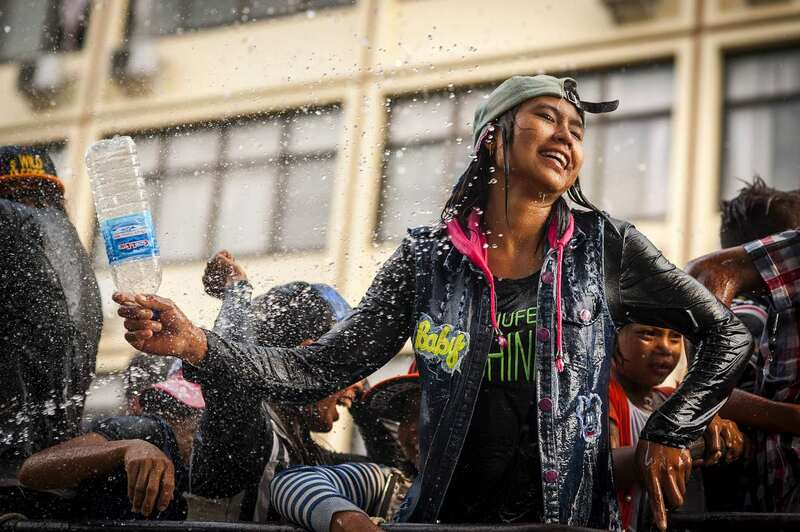 The water festival is especially popular among the youth. A man clearly embraces the spirit of Thingyan. A police truck is bombarded by festival revelers. Thingyan is a non-stop water fight lasting for days. Motorcyclists are prime targets during Thingyan festivities. 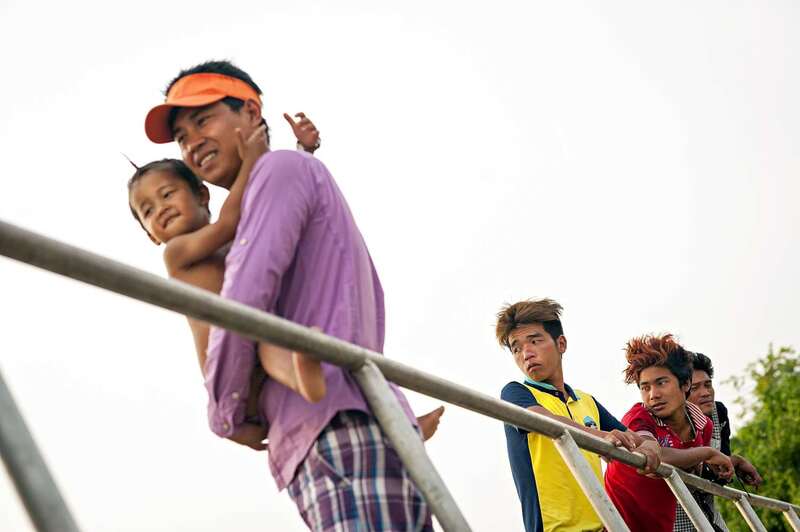 After a swim at the end of the day, a family relaxes at the banks of the Irrawaddy River. The recent ceasefire has done little to bring peace to Kachin.